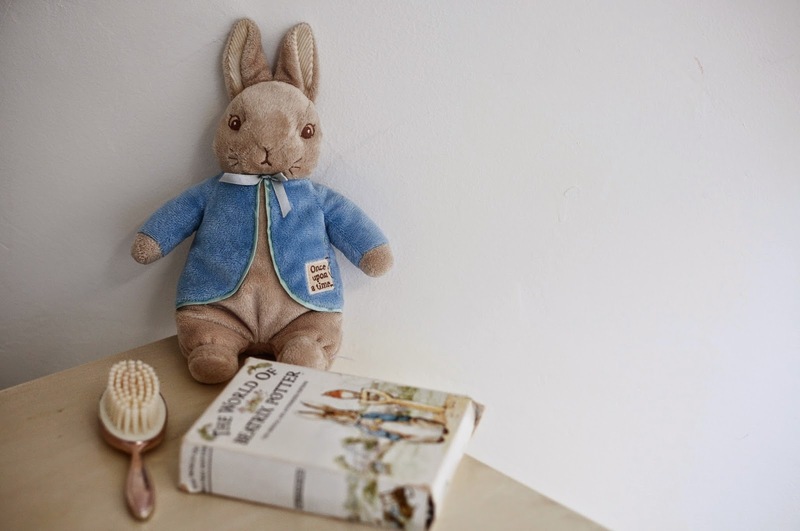 We have recently paired up with the lovely people at Laura Ashley to bring a few special touches to our nursery we have been working on and you can see the full tour on the Laura Ashely blog which is very exciting. Basically a few weeks ago this little room in the eaves was my office space since then we striped it back and slowly turned it into the nursery which is now almost finished. 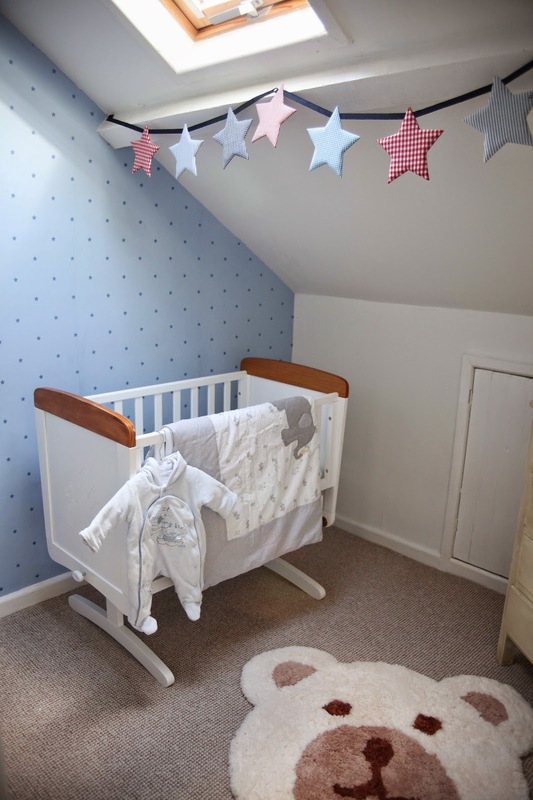 Having given it a coat of paint when we moved in we felt it needed a bit of colour and decided to use some beautiful Laura Ashley wall paper to the one side as well as some cute fabric star bunting to add a touch of texture and fun. We decided to go with a traditional British theme with hark back to the childhood fairytales of Peter Rabbit and Winnie the Pooh - which is actually engraved on this lovely Obaby Gliding crib, which is a slightly larger option to the moses basket we used last time and we are hoping to get a lot of use out of. We have taken all of Mr A's clothes out of storage, washed and ironed them and they are now ready to pack into the chest of drawers and things are starting to feel very real now. 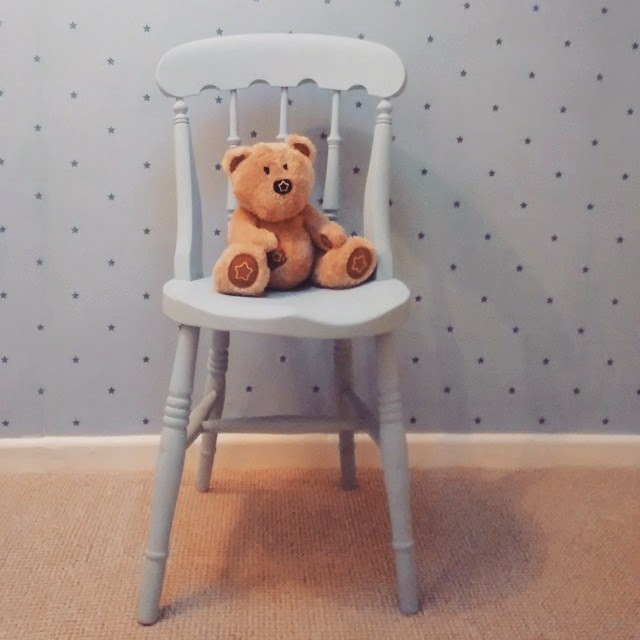 I also got the paint and sandpaper out and finally attacked an old chair that have been crying out for an update and I am so happy with the results as it fits perfectly in the corner of the nursery, just need to find a nice comfy cushion and this should make a great feeding station. On another note after months of no join we have finally narrowed it down to three names, we are keeping tight lipped about it for now but it has taken a while to find a few that we both agree on. Individually we were quite set on what we wanted but like anything if your a couple you need to find a middle ground and it's often a lot harder than you think to find a name which will be with your child for the rest of it's life. 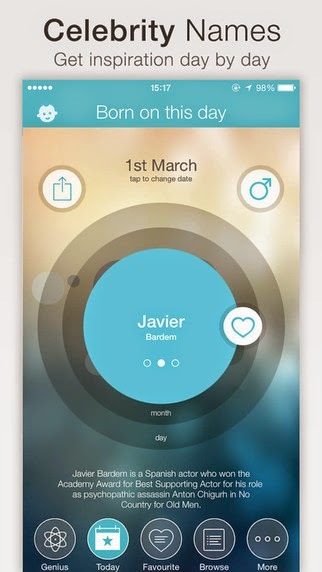 We used a combination of books, websites and were also recombined this useful free app - Baby Name Genius which has over 50,000 boys and girls names as well as some cool features and like -whats popular now, the meaning behind the names, unusual and classic names so if your stuck why not try it out, it's free and easy to use. What a sweet nursery! Love that bunting too! Theo never had a proper nursery as we lived in a one bedroom flat when he was born, so I always get a bit jealous of all these amazing nurseries! Beautiful room! I love the starry wallpaper and the bunting. Such a beautiful room, so peaceful and calm. I love star and spot wallpaper but never got a chance to use it in a room. It works perfect in that cute room.